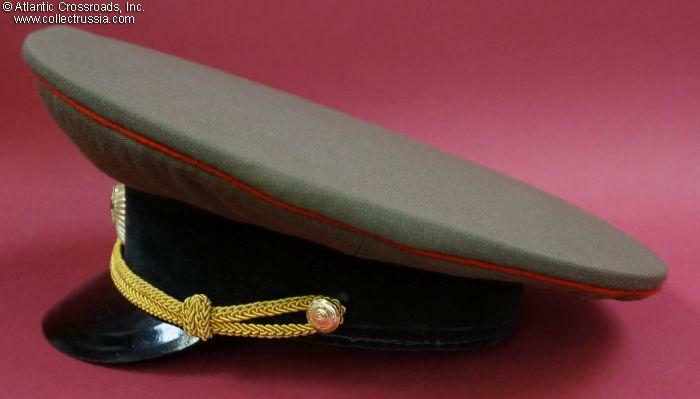 Armored Corps general service visor hat, circa 1960s. Circa size 54-55 (US 6 ¾ to 6 7/8). 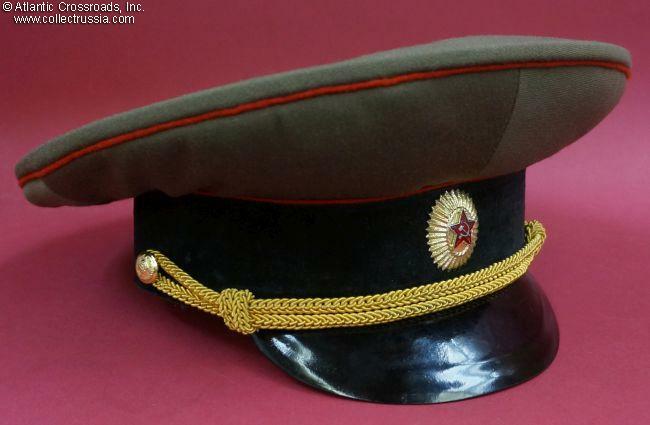 The crown is in olive drab wool gabardine. Black velvet band, red piping, gold chin cord. 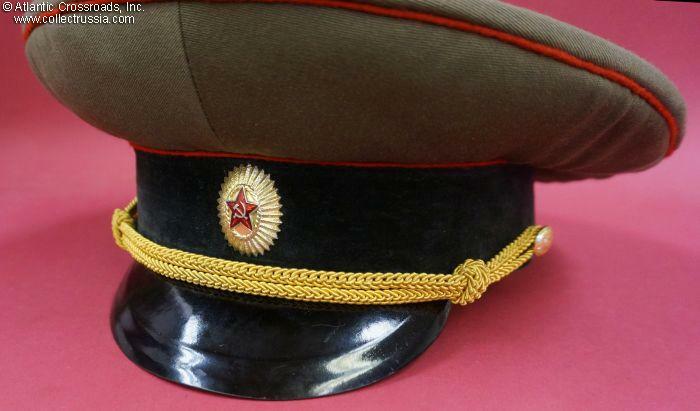 Style without embroidery on the band. 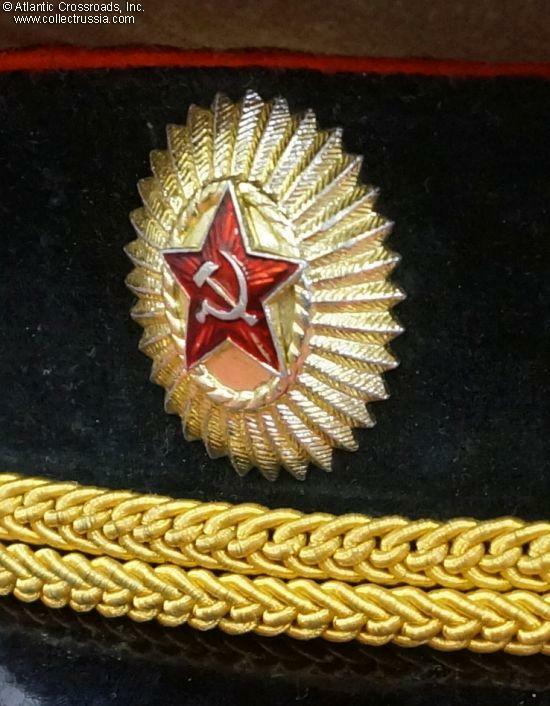 General's cap badge in gilt aluminum and enamel paint. Composition visor. 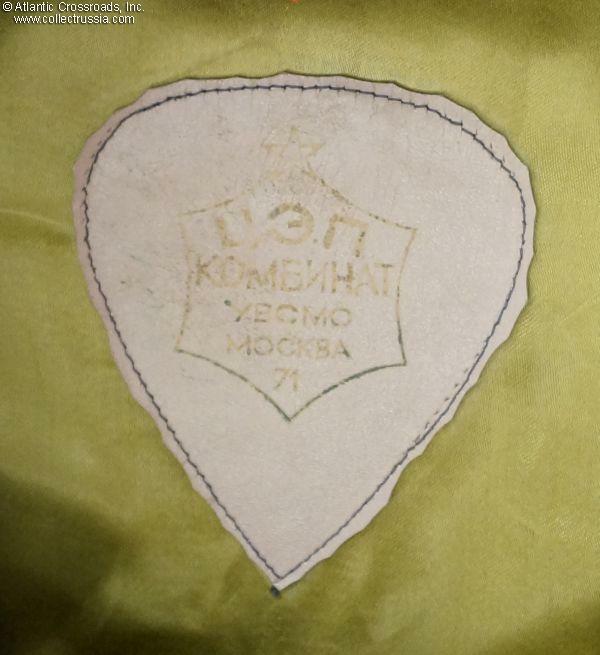 The leather sweat label is of Moscow Ministry of Defense Garment Factory. Excellent condition. 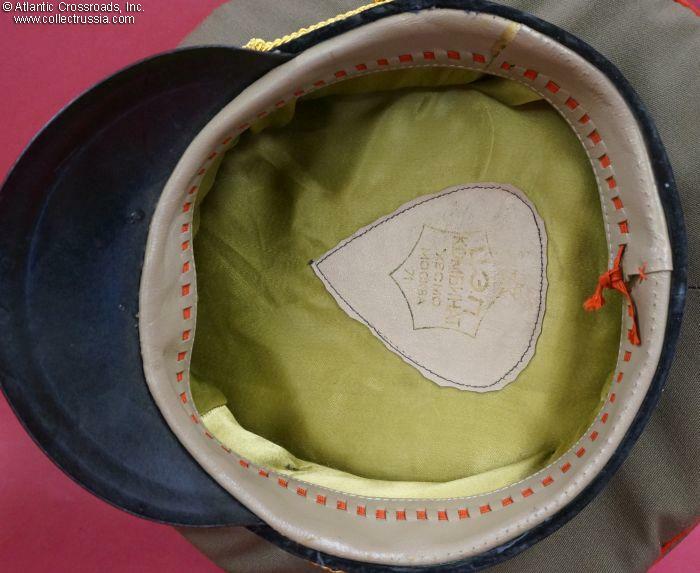 The leather sweat band shows minor wear as does the sweat shield. 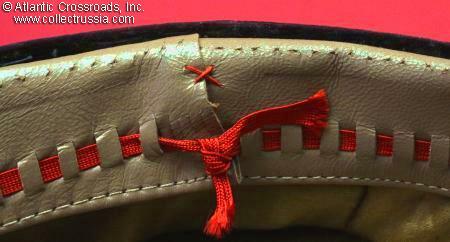 The sweat band is firmly attached, and shows no sign of a repair or an alteration but there is an unexplainable area of about eight inches of stitching holes along the back edge, most likely a manufacturer's error. 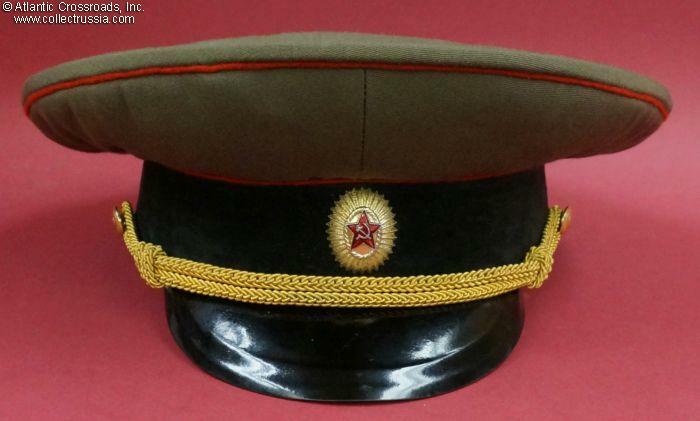 The cap badge shows minor wear but it is not immediately noticeable and does not detract from the cap's overall impression.